Today was one for the memory books. 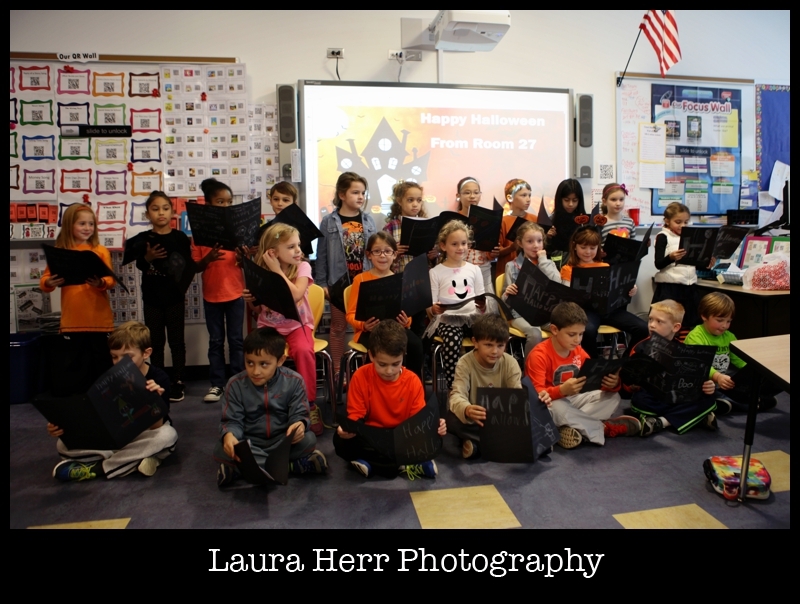 It started out with an afternoon celebration with Room 27. Ellee and all of her sweet classmates put on a great presentation with a variety of poems and songs that they performed for the parents and grandparents that were there. It was all orchestrated by the amazing Mrs. Kramer. 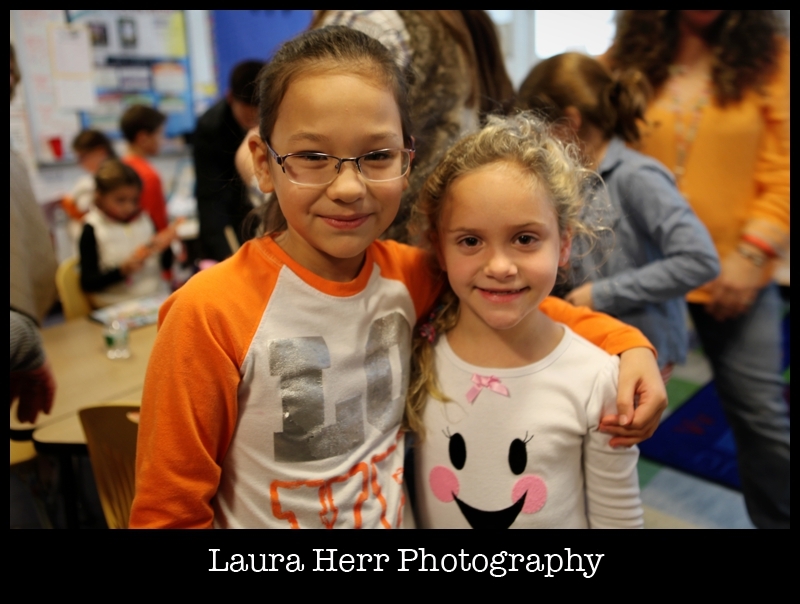 Ellee’s really enjoyed 2nd Grade and much of the credit goes to her teacher who loves learning and makes it fun too. 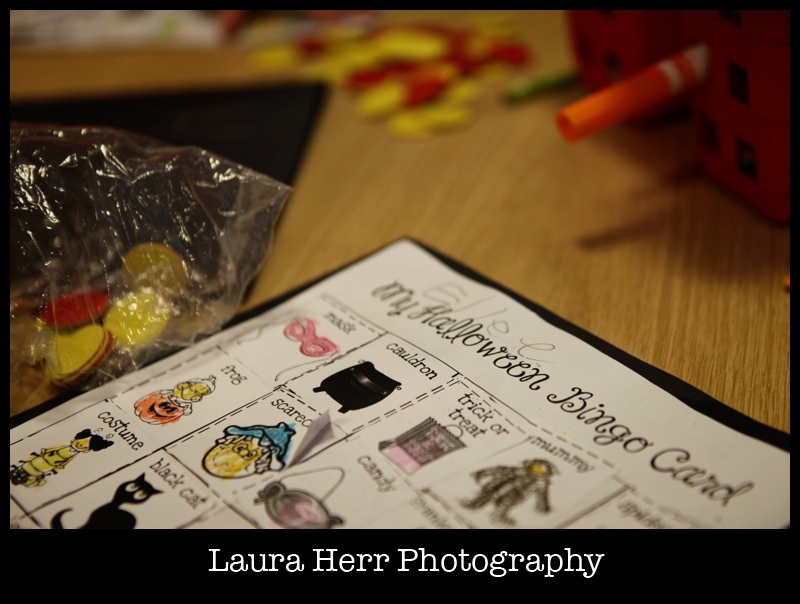 We finished up the celebration with some Halloween Bingo. Ellee was one of the winners and it was so sweet to see her beam with pride. Ellee has a number of friends that she attended Preschool with in her class this year. 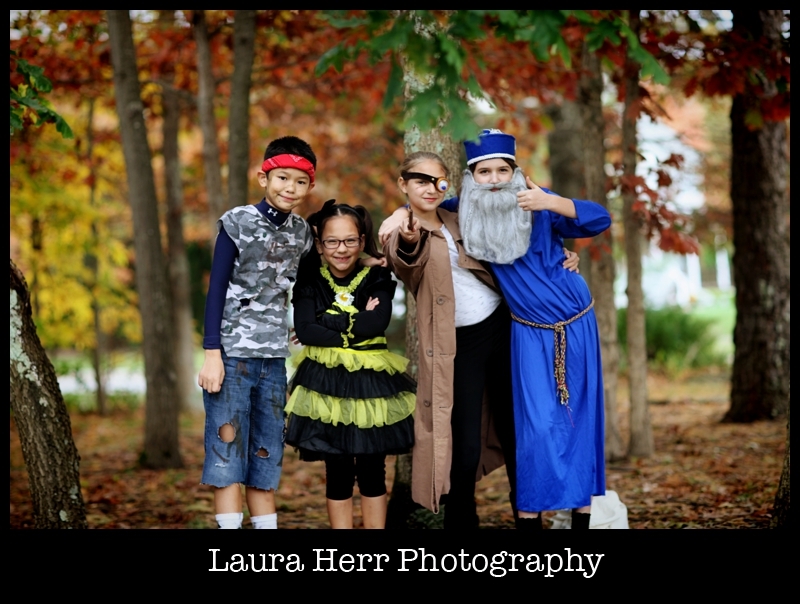 It was fun to see them all again, with their awesome parents. We have an incredible community of friends and we are so thankful for them. 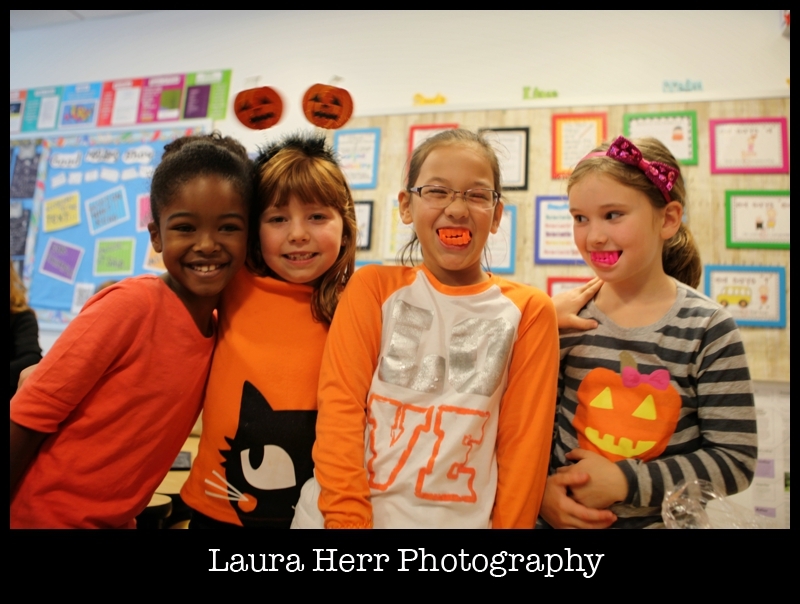 It was also so fun to see Ellee with all of her friends, hanging out and showing off the prized Vampire teeth that they won at Halloween Bingo. 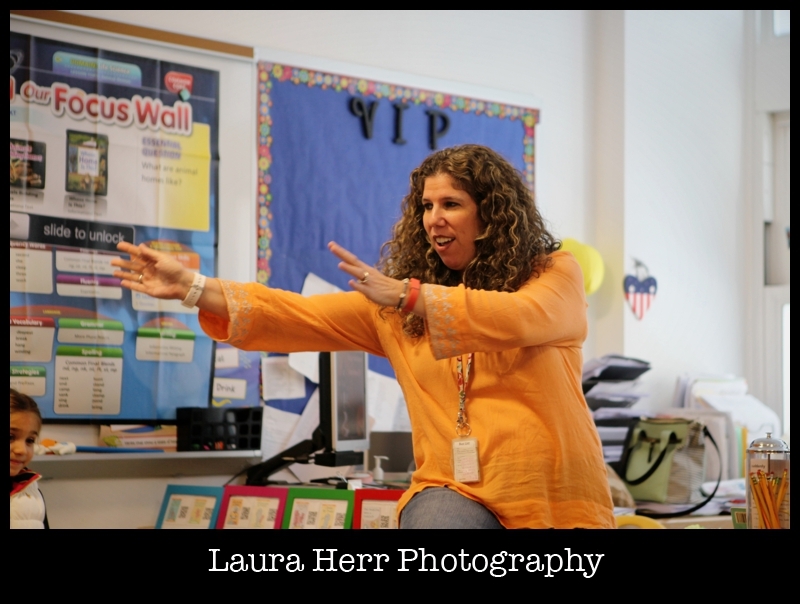 All in all, it was a fantastic afternoon spent with wonderful friends in a wonderful classroom. 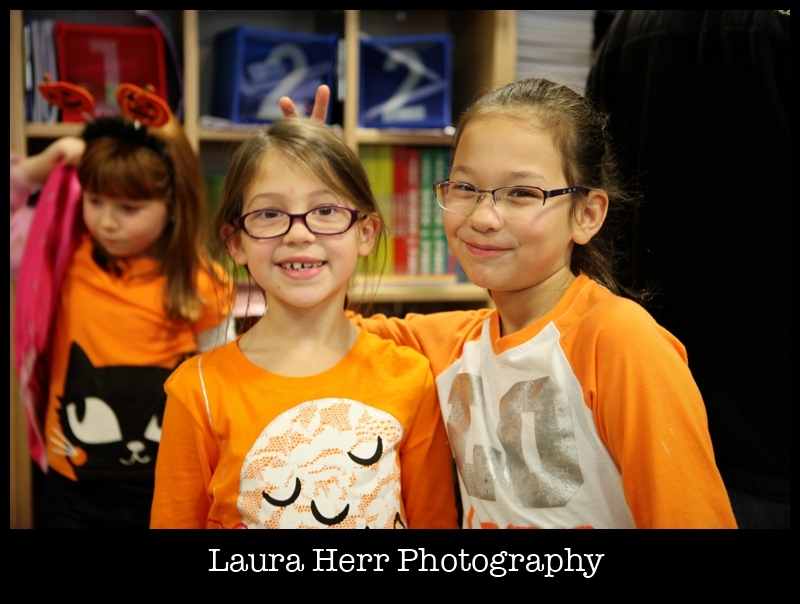 I was so glad that I got to come by for Ellee’s Halloween celebration. 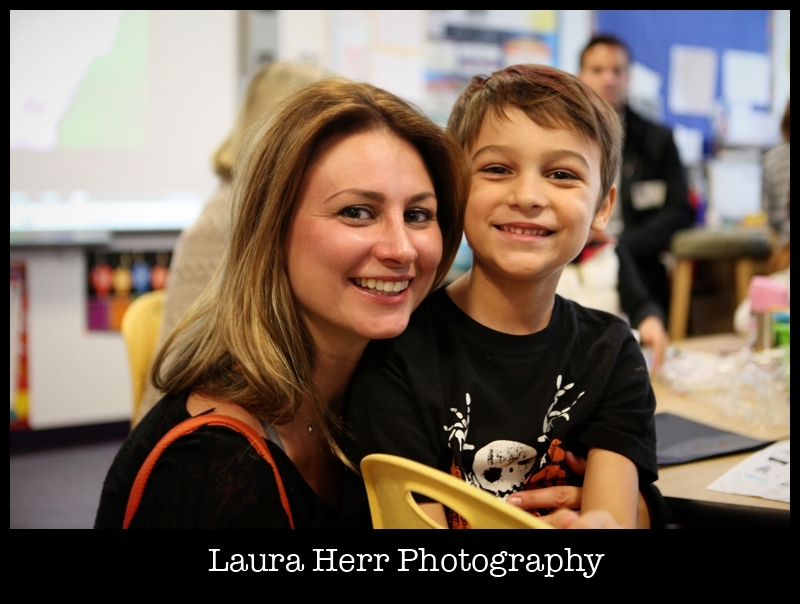 We absolutely love our sweet daughter and it was fun to spend time in her classroom. 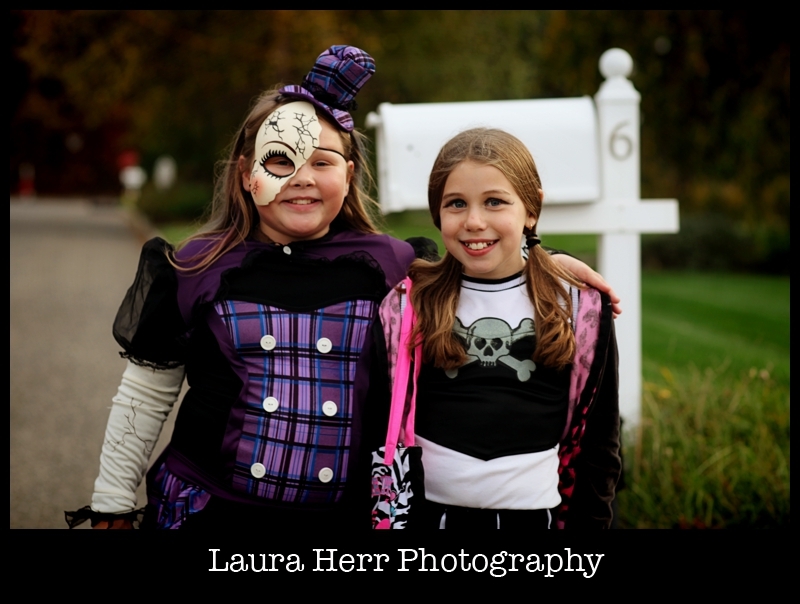 The fun continued after school, when we met up with a few friends to go trick or treating. It’s been a fun tradition, and one that I look forward to each year. 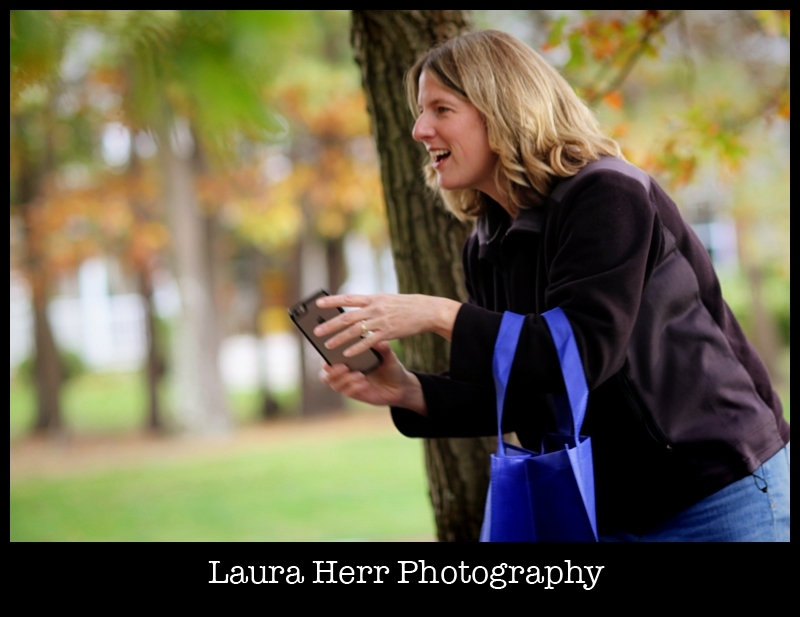 And just as fun as taking pictures of the kids, was capturing pictures of my sweet friend Kristin, as she captured pictures of the kids on her iPhone. Picture time was brief, because there was a mission to be accomplished. 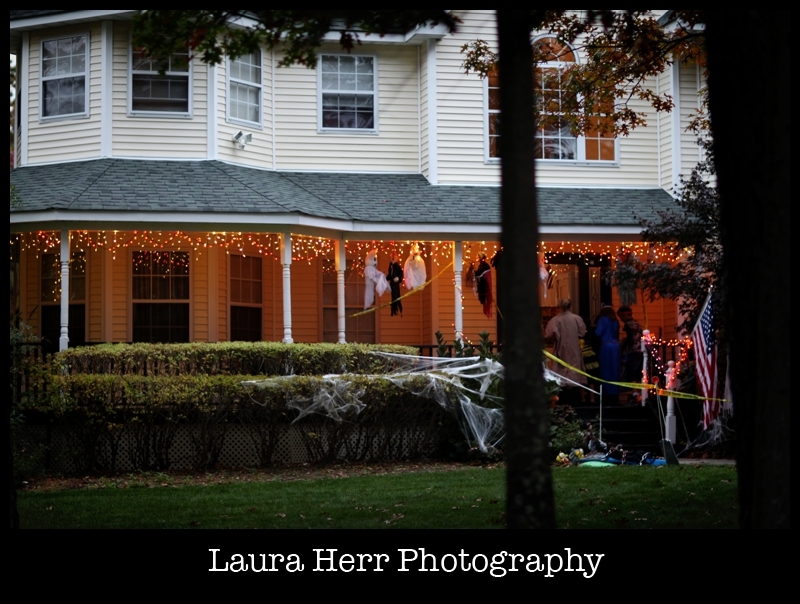 And this year, its name was, “Get as much candy as possible.” Which is exactly what they all did. 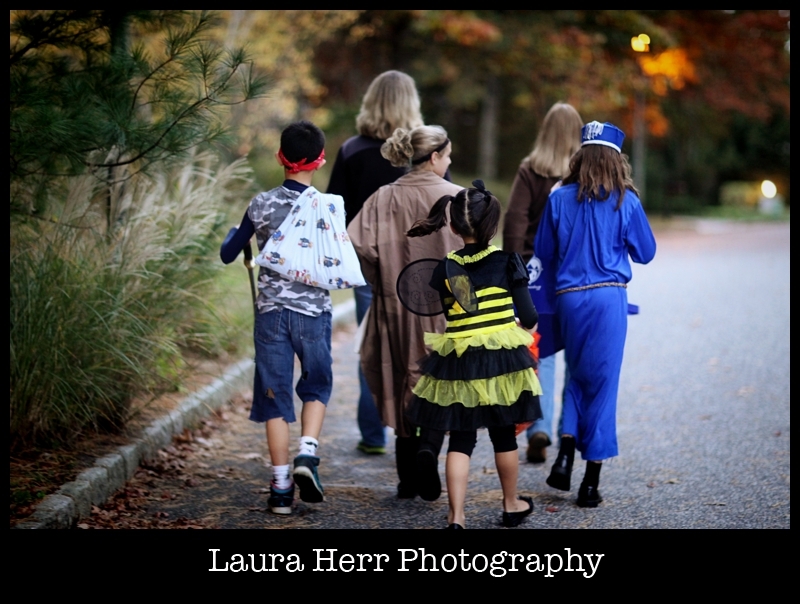 Along the way, we ran into some amazing friends, who were all decked out for their evening of fun. 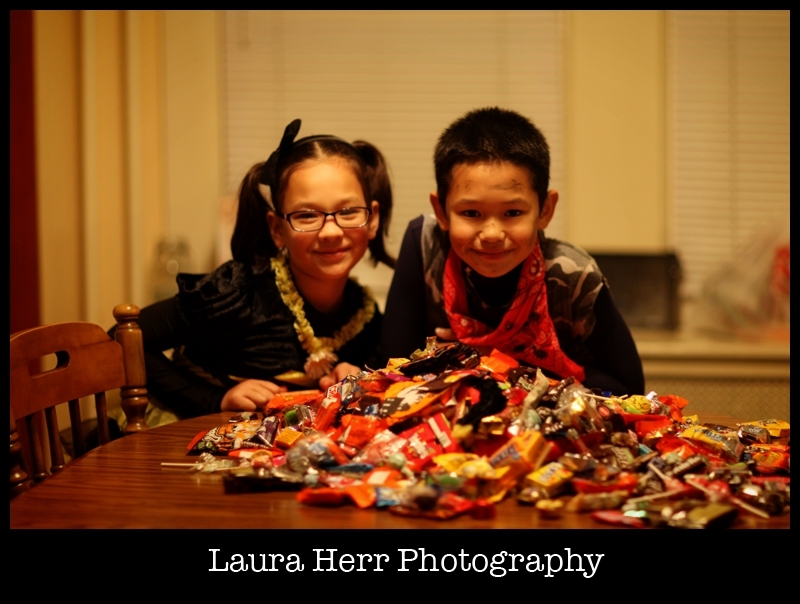 All in all, it was a good two and a half hours of candy gathering. 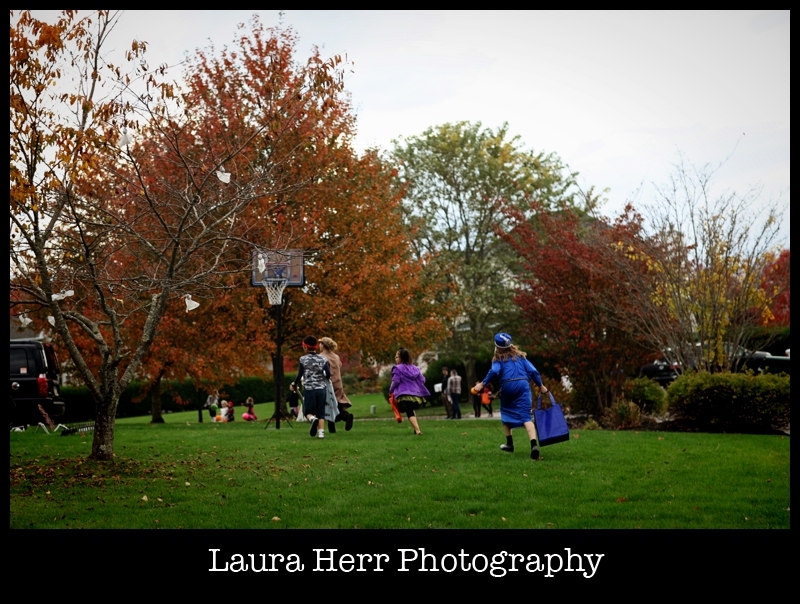 By the time we finished up, the bags were overflowing and the kids and adults were all tired out. 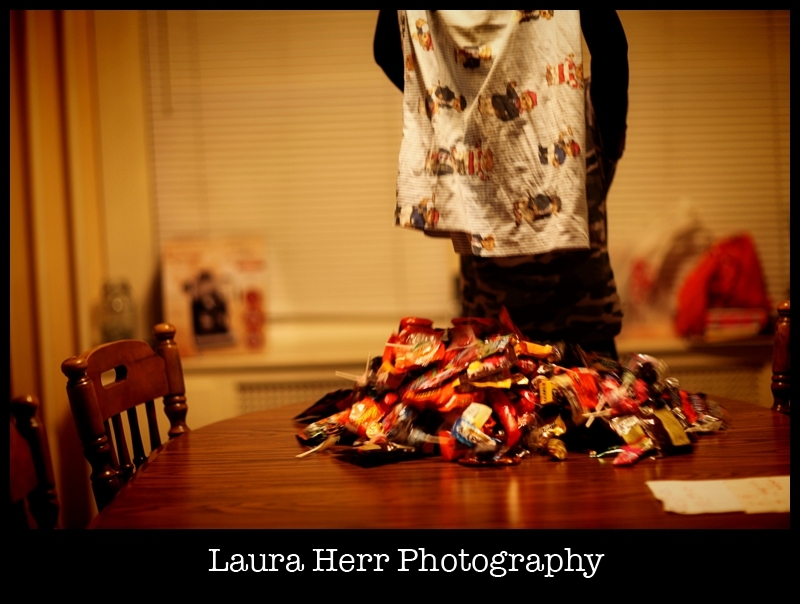 All totaled, was 416 pieces of candy. Weighing a whopping 13.5 pounds. I have to admit, it was a little scary. Which is fitting for the day, I suppose. All in all, they had a great night. And they made memories. 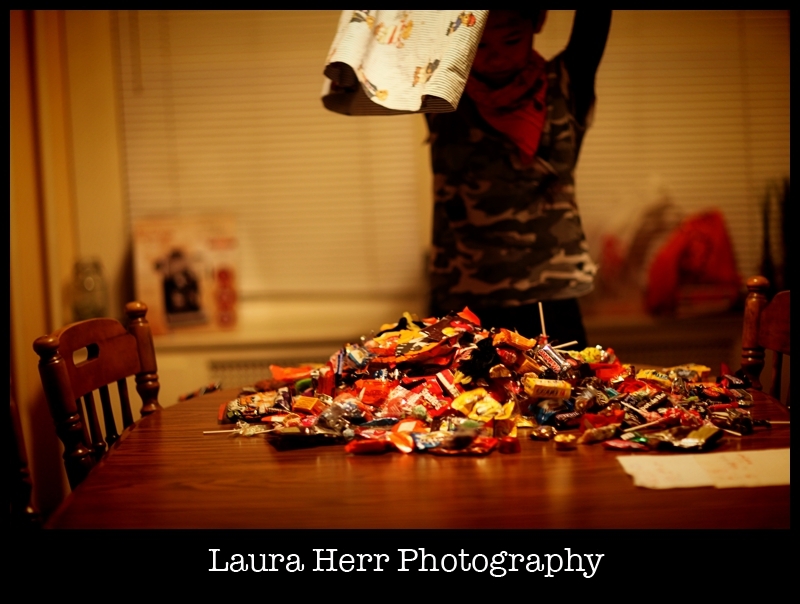 And they got an incredibly huge pile of candy. 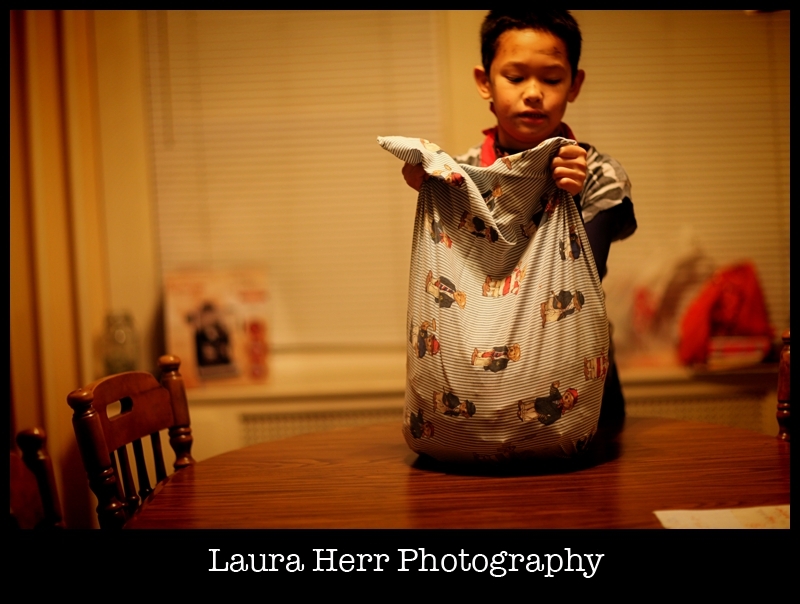 We talked, and some of it will be donated to the people who collect for the American troops overseas. Some of it will got to their Dad. And they’ll definitely have a good amount to enjoy, in moderation, of course. It was a great night, of sweet memories made.